2 x SLP4 - ZipWall® 12 4-Pack contains four 12’ aluminum, spring-loaded poles with parts (heads, plates, and GripDisk™ non-slip pads), a standard zipper 2-pack, and one ZipWall® carry bag. Plastic sheeting is not included. 1. 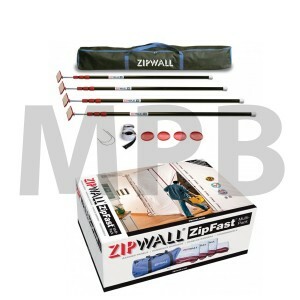 ZFMP - ZipWall Reusuable Barrier Panels Multi-Pack contains: Three 5’ x 12' (1.5m x 3.6m) panels One 2.5’ x 12' (0.7m x 3.6m) panel, ZipFast™ carry bag. 1 x EPH1 The Edge™ Head & Non-Skid Plate is specifically designed to hold a barrier — without lifting the grid— where a drop-ceiling meets a wall. 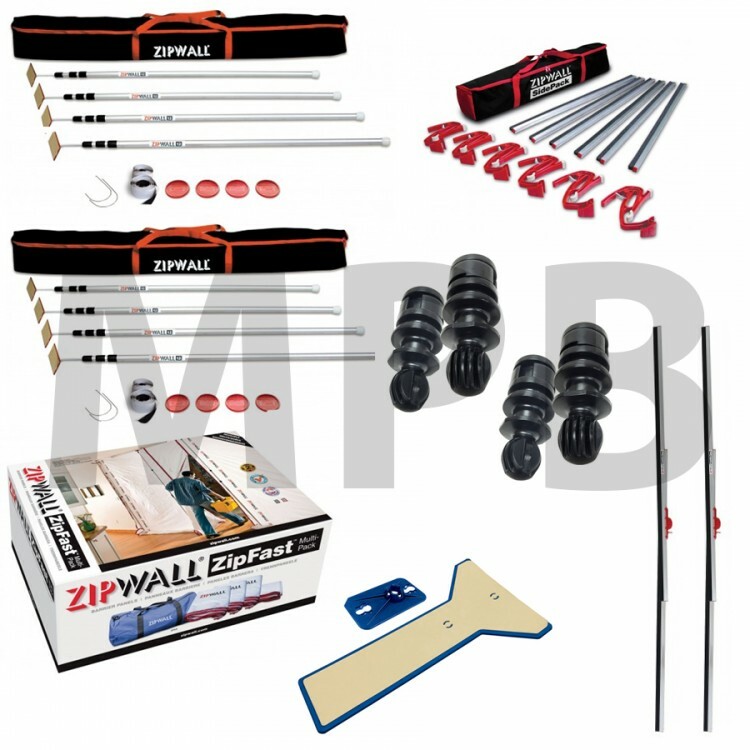 1 x SDPK - SidePack™ Wall Mount Kit contains: Six SideClamp™ wall mounts, Six 3’ aluminum FoamRail™ cross bars, ZipWall® carry bag. 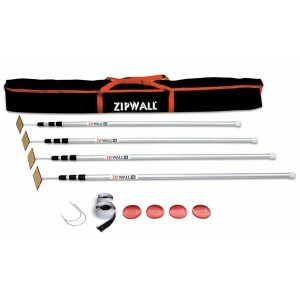 2 x FA12 - Floor Adaptors for ZipWall® 12 Pole 2-Pack contains two floor adaptors for ZipWall® 12’ poles. 2 x SPN- FoamRail Span Adjustable Tapeless Seal contains one FoamRail Span™ adjustable tapeless seal.